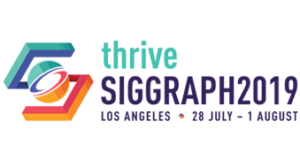 The SIGGRAPH Emerging Technologies Program Chair is responsible for the planning, selection process, and implementation of the annual conference Emerging Technologies program. The Emerging Technologies Program Chair works closely with the Conference Chair, the Conference Event Director, volunteers, and contractors to produce a demonstration of the latest in Emerging Technologies. able to assemble and motivate a subcommittee of volunteers to assist in submissions review, envisioning, venue design and implementation. The following list is a “high-level” view of the specific responsibilities associated with serving as a Emerging Technologies Program Chair. The list is organized under general categories of responsibility. Recruit and manage a subcommittee to assist in administering the Emerging Technologies Program. Assist the Contributor Coordinator in the collection of materials for the Full Conference CD-ROM.